Here’s my solution! 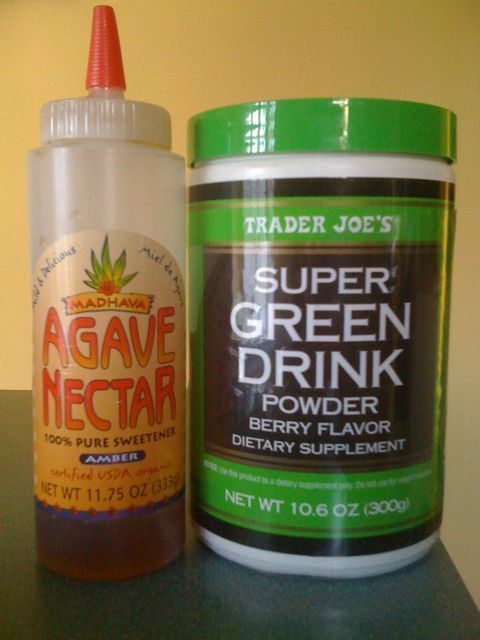 I like to mix a little honey or agave nectar to sweeten up and provide nutritious simple carbohydrates to Trader Joe’s Green Drink. It’s similar to other low-pH drinks, but it’s a lot cheaper. I find the mix works better than a sports drink while helping to flush lactic acid from tired muscles post workout. I’ve been drinking one a day right after training and have noticed reduced soreness. That’s really important since I’m a bit of a wimp!